CHUCKY. 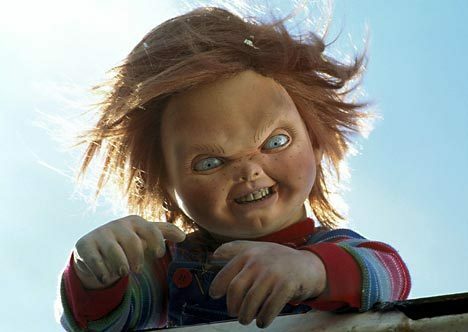 jlhfan624 influenced me to share some of my Chucky fotos :) Hope tu like them.... Wallpaper and background images in the películas de terror club tagged: horror films stills slashers chucky the killer doll tiffany glen child's play photos horror movies murder. This películas de terror photo might contain retrato, tiro en la cabeza, primer, headshot, primer plano, en la cabeza, and closeup.